Arihant Metal Manufacturers are in highly demanded in the market due to its precise profile and soaring performance. Competitively priced and high quality Stainless Steel Flanges has placed us in the leading Manufacturers and Exporters in India. 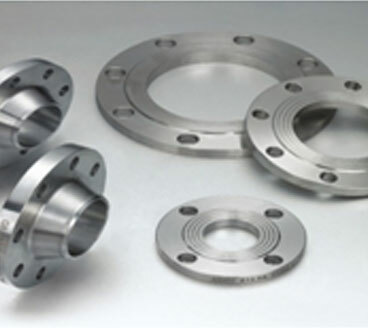 We make available Stainless Steel Flanges in varied ranges at faster delivery and affordable market price. GRADE TP304/304L, 304H, TP316/316L, 316Ti, TP317/317L, TP321/321H, TP347/347H, S31260, S31500,S31803, S32550, S32750, S32760. SPECIFICATION ASTM, ASME/ANSI, AFNOR(NFE), DIN, EN, BS, JIS Etc. APPLICATIONS Nuclear Power Plants, Oil & Gas, Petrochemical & Refinery, Chemical & Fertilizer,Power Plant & All major process industries.